Small business legal expenses can be positive when it comes to protecting your business’ future. There are ways to avoid unnecessary expenses and cover the unavoidable. If you need funding in order to alleviate small business legal expenses, Silver Rock Funding can assist you. During the start-up phase you are kind of winging it. You may buy more merchandise than you need. There may be certain expenses that you take on that are unnecessary. We can blame that on the bright-eyed optimism of a budding entrepreneur. Now that you are running a business that is established, it can be easy to get caught in the same trap. Being weighed down with small business legal expenses is a common way for businesses to fold. There are ways that entrepreneurs can avoid going out of business due to small business legal expenses. Small businesses are not above lawsuits. In fact, businesses are more likely to be sued than an individual. If a customer, business partner, or anyone else decides to sue you, there will be prices to pay. Lawyer retainers fees can cost you thousands of dollars annually. So, whether or not you are legally responsible for an issue, you have to come out of your pocket. Many entrepreneurs wonder what is the right business structure to protect themselves. Owners of limited liability companies (llc) and limited corporations are usually only liable up to the amount of money that they have invested. Sole proprietors and general partnerships are personally liable. No matter what corporate structure you choose, having the right amount of funding to fight and recover from legal woes is key. Silver Rock Funding offers up to $500,000 to qualified small business owners. In Huffington Post, earlier this week, Motivational Speaker and Entrepreneur William Morrow warns against three legal mistakes that business owners make. The list is consists of hiring mistakes, improper tax filings, and lack of legal representation. We could not help but to notice that all of these mistakes, were costly. Costly in the “damned if you do, damned if you don’t,” sort of way. You see vetting employees is costly. Securing a background check for a slew of applicants might not be in your budget. However,background checks are a small price to pay the having to replace employees due to various factors. Additionally, you may not have enough business capital to cover the expenses of a staff accountant. Establishing a contract with an accountant can save you, in the long run, from small business legal expenses and IRS sanctions. All these can be avoided with adequate legal representation on-hand. There are solutions for legal representation online that allow business owners to retain a lawyer with a monthly retainer fee. If you need funding in order to alleviate small business legal expenses, Silver Rock Funding can assist you. 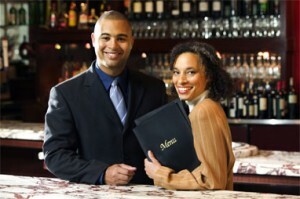 We act as a match-making service for these private investors and small business owners. Funding is available to cover the costs of small business legal expenses such as retainers and background checks. Also, to cover expenses that may alleviate future legal discourse. Millions of dollars are available for entrepreneurs. Complete our free application to get started.